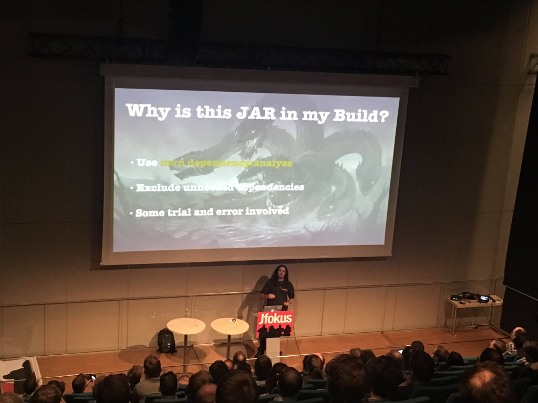 Last week, the Tenth edition of Jfokus took place in sunny Stockholm, Sweden (really, believe me it was sunny). The conference was three days long, with the first day dedicated to Tutorials and the next couple of days to Conference Sessions. The numbers are impressive. It had over 1700 attendees, making it the second largest Java conference in Europe, right after Devoxx Belgium. 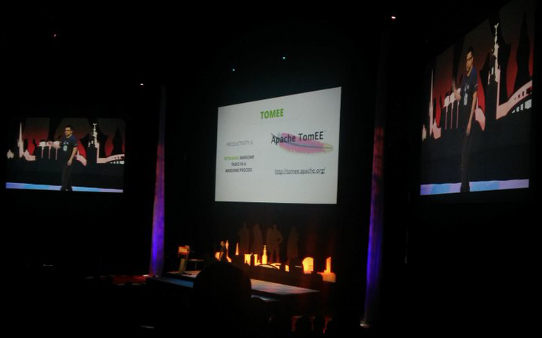 Tomitribe was happy to sponsor the event. 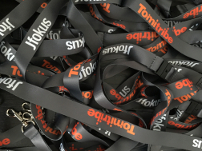 Literally, every attendee was a Triber with the Jfokus / Tomitribe lanyard. If like me, you don’t know what a lanyard is (at least the English word), it’s the strap worn around your neck to hold your badge. Microservices have been a hot topic over the last year. Naturally, the conference was packed with sessions around Microservices, from introductory talks to more advanced sessions. Not exactly related with the tech world, but another hot topic is Star Wars. So, it was common to find pictures, references or quotes in the speaker’s slides. Even in the opening Keynote, we had the pleasure to listen Yoda, via Brian Goetz. Hope the video is released soon, so everybody can hear his impression. It was really good. And talking about the Keynote, it wasn’t the typical technical session you expect to see, but more of a philosophical session. The main theme was about how to evolve a 20 years old language without breaking anything, plus all the challenges and hard decisions that need to be done to accomplish that. The interesting part of the sessions are the stories behind certain decisions made by the Java Language Architects that are not completely understood, but later on they make perfect sense. On the technical side, the JVM memory model is outdated considering the current hardware. Let’s remember that the JVM is a 20 years old awesome piece of technology, but in the memory model department, little changes were introduced since the first versions. 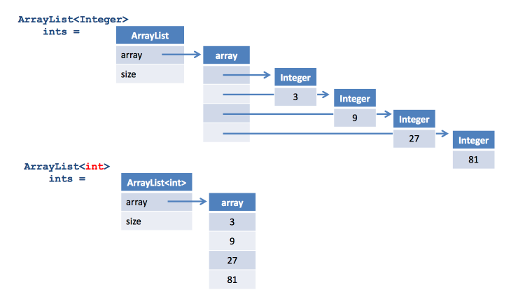 Representing a List<Integer> takes more memory that desired and the objects most likely are going to be spread around the memory, making it less efficient to access it. Value Types are the answer to this problem. They are made to be coded like plain classes, but behave as native types, effectively eliminating the extra overhead to represent the objects in memory. As an added bonus, it would also be possible to represent a List<int>. Since it was impossible to attend every session, i’ll just comment on a few of them that I was able to attend without no particular order. Starting with Kasia Mrowca, a Tribe contributor, brought us a session about controlling the features that make their way into our projects or applications. The name of the session is “How to defeat feature gluttony?”. Just because your application has all the features in the world, it doesn’t mean that it’s a great application. We need to think if the feature is useful to the customer. Sometimes the customer asks for features that are not going to be beneficial for him. Architects and Developers in general need to learn to say no. This session can help you with some techniques for that. Another thing that I love in this presentation is that Kasia hand draw most of the slides. Check them here. 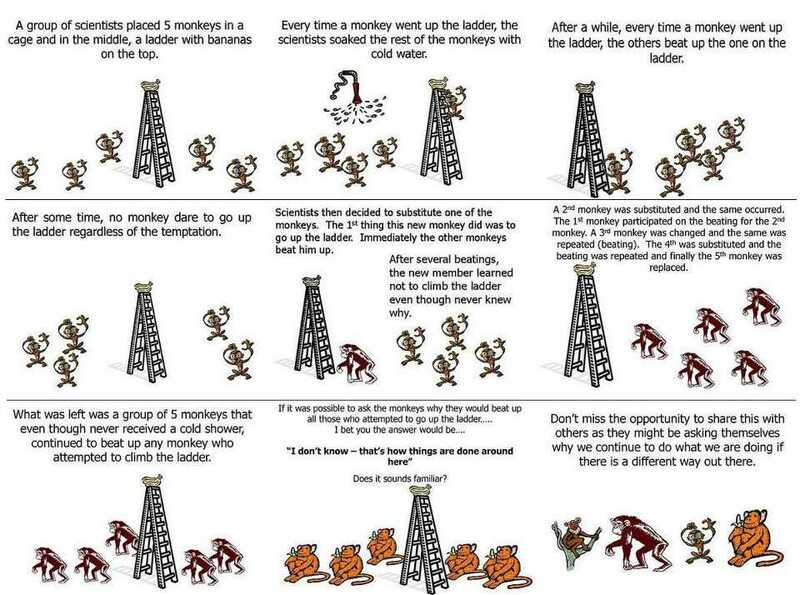 “10 Ways to be a More Productive Java Developer” by Simon Maple started with one of my favourite stories: The Five Monkeys Experiment. Since the story is a bit long, I’ll just leave you with the following comic so you can learn about it. Anyway, Simon talked about a bunch of different tools that can easily change and improve the lives of developers out there, like IntelliJ, Arquillian, JBoss Forge, Gradle and others. Honorable mentions to TomEE, that was also mentioned, since is very lightweight and easy to use server in the Java EE world, keeping productivity high in a container that most developers are already familiar with. Check the slides here. My own session about Maven, Taming the Beast. Love it or hate it (and a lot of people seem to hate it), Maven is a widely used tool. In my session, I’ve tried to present the most common problems that developers come across when using Maven and how to fix them. Maven might be an old technology and not as exciting as Microservices, but looking into the Java Tools and Technologies Landscape for 2014, it’s a tool used by 64% of the developers. I think there is always interest in these kind of sessions, especially for new developers. Check out the slides and a video here. It was great to see so many friends again, share stories and hack some code. Now in Tomitribe, it’s awesome to see all these friends support and pushings forward to be a successful company. To all of them, our very THANKS! Roberto Cortez is a passionate Java Developer with more than 10 years of experience; mainly the Finance sector. He is involved within the Open Source Community to help other individuals spread the knowledge about Java EE technologies.